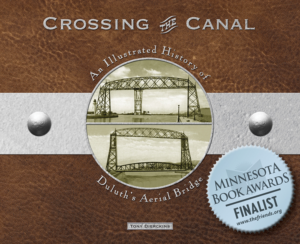 Eighteen years after Duluth ship canal was dug, German immigrant and Michigan lumberman and financier Wilhelm Boeing claimed ownership to the land the canal passed through. Following the Panic of 1857, Boeing had purchased fourteen lots on either side of Portage Street, which had been dug up to create the canal. He now wanted his land back or, better yet, financial reparation for what had been done to it without his permission. To all boat and vessel owners—You are hereby notified that on and after the fifteenth day of October, 1889, the right of passing through the canal connecting the waters of Lake Superior and the bay of Duluth will be denied by me to all boats and vessels. A rope will be stretched across the canal on my property, which lies in and upon either side of said canal, and the owner or master of any boat or vessel breaking the same will be promptly proceeded against in the courts. Wm. Boeing. September 27, 1889. The notice would also be printed as a circular and handed out to all captains of vessels passing through the locks at Saulte Ste. Marie headed for the Zenith City. Boeing then told the Duluth Evening Herald that the posting was “not intended to work hardship to any interests of Duluth, but simply to establish what rights I possess.” His goal was to prod the city into purchasing the property, which had already appointed a committee to investigate. They had yet to contact Boeing, and he had become impatient. Common Council President J. J. Costello hinted at the cause of the delay, telling the Herald that Duluth had considered paying a reasonable sum for the property but Boeing’s asking price—$100,000—was “preposterous.” Besides, Costello argued, because the canal was then eighteen years old, it was likely Mr. Boeing’s claim on the land had expired due to some statute of limitations. And since the federal government took over ownership of the canal in 1873, how could Boeing sue Duluth for property the city had no jurisdiction over? Boeing wrapped up business in Duluth, which concluded by the end of September, and left his friend and business associate Marshal H. Alworth handle matters concerning the canal. Meanwhile, city attorneys strategized how to handle matters should Boeing hold true to his threat. On October 14, Alworth allegedly received a simple telegram from Boeing: “String the rope.” The next day Alworth hired Frank Jacobs, James Jones, and ferryman Charles Winters, who held the contract to carry people and goods across the government canal (the canal would not have a permanent bridge until 1905). At about 12:15 a.m. they tied a half-inch rope to a piling about halfway between Lake and St. Croix Avenues (St. Croix Avenue is Canal Park Drive today), brought it across the canal on the ferry, and then tied it off on another piling on the south side of the canal. Police Officer Frank Horgan promptly cut the rope. When Horgan went home after his shift, Alworth’s men put the rope back up. When the steamer Winslow was warned of the rope as she passed through the canal later that day, her captain yelled “to hell with you and your old clothesline” and steamed through, the ship itself cutting the rope. Alworth’s men then put the rope up again, only to watch the tug Spirit break it a short time later. There were no further attempts to rope off the canal. 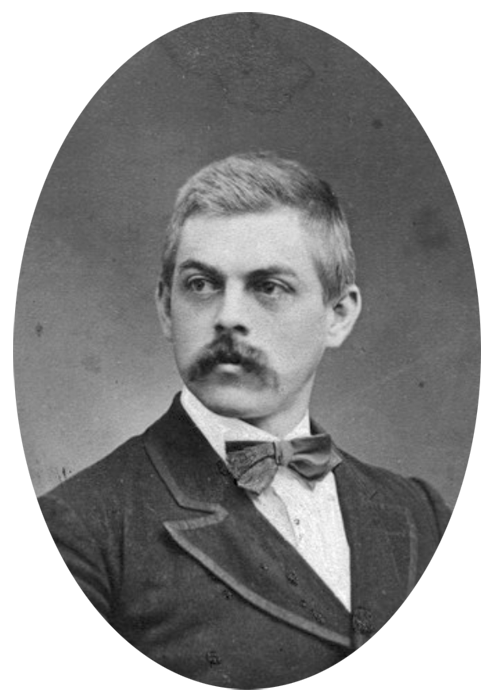 Boeing died from influenza in 1890, just months after the posting, and while his estate did pursue the matter after his death, we could find no evidence that Duluth ever compensated Boeing for the land he had lost to the canal. Most of the land that Boeing owned is now either part of the canal, its piers, or Canal Park itself—the green space on either side of the canal. The area of Minnesota Point from Michigan Street to the Canal, which most people consider “Canal Park,” is technically the Canal Park Business District. Even without the $100,000 he demanded, Boeing had plenty of money. Most of his vast wealth went to his son William, who would eventually move to the Pacific Northwest and start building airplanes. Today, of course, Bill Boeing’s company makes most of the commercial airplanes in service throughout the world today.